View and share the 2014 ADAO collection of Conference presentations, Awards & Recognition Dinner, and Unity and Remembrance Brunch — now on video! Please note the full video library will be completed by April 25. Special thanks to Herman Hamilton for overseeing this momentous YouTube effort.  10th Annual International Asbestos Awareness Conference, “Where Knowledge and Action Unite” on April 4 – 6, 2014 in Washington, D.C.
Prevention: What Is It? Where Is It? What Do I Do? ADAO is deeply grateful to our leadership, volunteers, and conference speakers, for making the 2014 conference the best ever. ADAO also thanks our 2014 Official Sponsors, our Platinum Sponsors Motley Rice LLC, the Simmons Law Firm, and Simon Greenstone Panatier Bartlett, P.C. and our Silver Sponsor Early, Lucarelli, Sweeney and Meisenkothen. Congressman Henry Waxman will be presented with the Tribute of Hope Award for his steadfast commitment to public health and safety. Congressman Bruce Vento will be honored posthumously with the Warren Zevon “Keep me in Your Heart” Memorial Tribute for his countless years of public service as a legislator and public servant. Dr. David Egilman will be recognized with the Dr. Irving Selikoff Lifetime Achievement Award in honor of his tireless dedication to increasing awareness about asbestos to eliminate diseases and his unending support of the Asbestos Disease Awareness Organization. Dr. Ken Takahashi will be recognized with the Dr. Irving Selikoff Lifetime Achievement Award in honor of his tireless dedication to increasing awareness about asbestos to eliminate diseases and his unending support of the Asbestos Disease Awareness Organization. Bill Ravanesi will be presented with the Tribute of Inspiration Award for his untiring efforts to protect workers’ rights and seek justice for asbestos sufferers and their families. National Association for the Defense of Asbestos Victims (ANDEVA) will receive the Tribute of Unity Award for its relentless efforts, both nationally and internationally, to protect workers’ occupational safety and health. Janelle Bedel, who tragically lost her battle with mesothelioma in 2013, will be recognized with the Alan Reinstein Award for her commitment to education, advocacy, and support to countless patients and families. Heather Von St. James, a mesothelioma patient, will be recognized with the Alan Reinstein Award for her commitment to education, advocacy, and support to countless patients and families. Lou Williams, a mesothelioma patient, will be recognized with the Alan Reinstein Award for her commitment to education, advocacy, and support to countless patients and families.